Jimi Hendrix rode a rocket to international fame with his first two albums, the Chas Chandler–produced Are You Experienced? and Axis: Bold as Love, which appeared over a mere seven-month span in 1967. Both found him bubbling over with innovative musical ideas, but Hendrix had even more ambitious plans for album number three, on which he labored for 13 months. Called Electric Ladyland, it would wind up being his first double album, his first self-produced record, and his first chart-topper. It would also prove to be the last studio record he would release prior to his death at age 27 in 1970. Hendrix’s guitar work is magnificent throughout the album, which came out in October 1968, and so are his vocals, which can change in a heartbeat from gritty and tough to a sweet Curtis Mayfield-like falsetto. The compositions showcase a dazzling array of influences and employ an equally dazzling assortment of instruments: everything from kazoo and harpsichord (both played by Hendrix himself) to congas, tenor sax and flute. 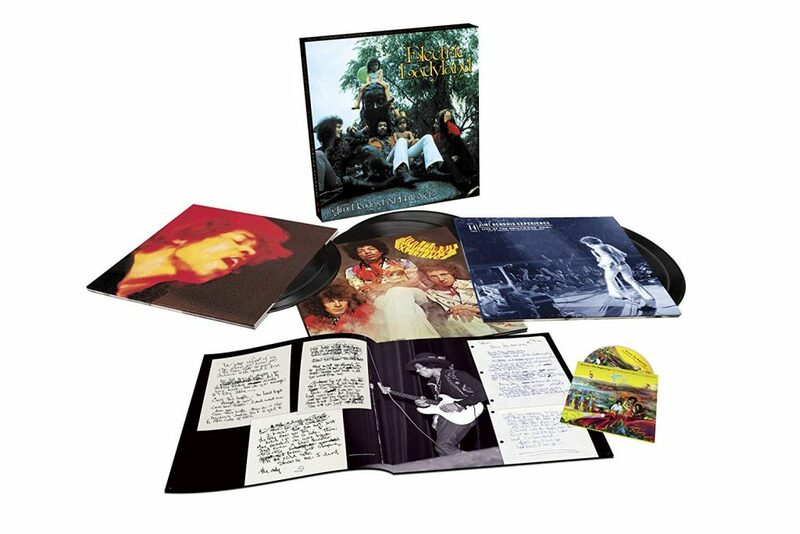 In addition to bassist Noel Redding and percussionist Mitch Mitchell, the album features such luminous guests as Jefferson Airplane’s Jack Casady; Traffic’s Steve Winwood, Dave Mason and Chris Wood; and the Rolling Stones’ Brian Jones. Among Hendrix’s contemporaries, perhaps only Love’s Arthur Lee (who also led an integrated band) drew on such diverse sources—from rock ’n’ roll to blues, from jazz and folk to psychedelia. The 16-track, 76-minute album is loaded with highlights, ranging from the psychedelic soul of “Have You Ever Been (to Electric Ladyland)” and the blazing rock of “Crosstown Traffic” to the funky, sax-spiced “Rainy Day, Dream Away,” and the spacey, nearly 14-minute jam called “1983… (A Merman I Should Turn to Be).” All the songs are Hendrix originals except for Earl King’s “Come On (Let the Good Times Roll),” Noel Redding’s “Little Miss Strange,” and Bob Dylan’s “All Along the Watchtower,” which became Hendrix’s biggest hit single. 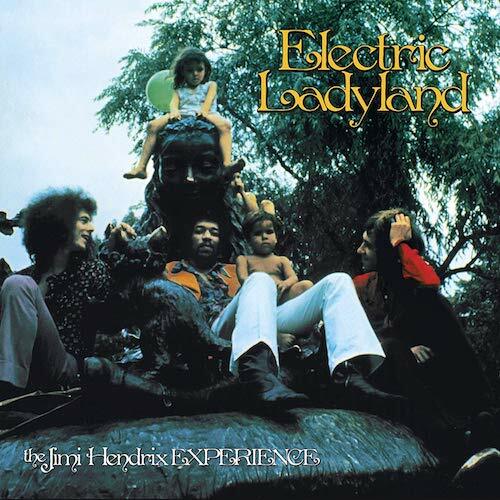 Half a century after its release, Electric Ladyland is the subject of a fittingly major 50th anniversary limited edition that includes Hendrix’s preferred cover art (a Linda McCartney photo that the record company rejected in 1968) and an oversized 48-page hardcover book with extensive notes and photos and the artist’s handwritten lyrics. The first of its three CDs delivers a remaster of the original LP; a second includes fascinating early versions of some songs that made the album, such as “1983… (A Merman I Should Turn to Be)” and “Gypsy Eyes,” plus some songs that didn’t, many with different personnel. “Angel Caterina,” for example, features drummer Buddy Miles, while a reading of “Little Miss Strange” has Miles as well as Stephen Stills on bass. One take of “Long Hot Summer Night” finds Hendrix accompanied only by Al Kooper on piano. Jimi would be so happy ‘his’ original vision for the cover finally saw the light of day! I know what I’m running out to buy today!